Product prices and availability are accurate as of 2019-04-18 11:49:50 UTC and are subject to change. Any price and availability information displayed on http://www.amazon.com/ at the time of purchase will apply to the purchase of this product. 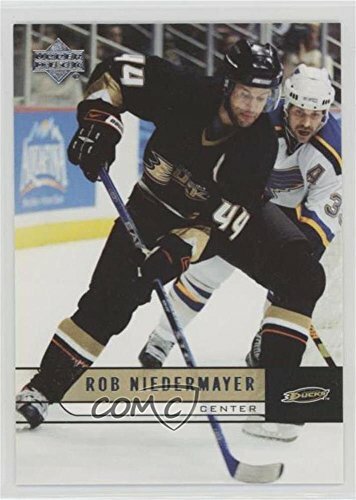 Sport: Hockey Great for any Rob Niedermayer fan This is a collectible trading card. Click the images to see the codition of the actual item you will receive.